As part of the latest Final Cut Pro X 10.4.4 update, Apple has announced that it will no longer support certain codecs in future versions of the macOS operating system. This concerns all media content that is available in old codecs ("legacy media") such as Sony&s HDCAM-SR, GoPro&s Cineform and Avid&s DNxHD/DNxHR. Apparently all videos that are available in these formats are affected - be it generated by software or recorded by camera. Apple is however somewhat unclear in its enumeration - it mentions e.g. specially software generated DNxHD/DNxHR material, but this does not implicitly mean that camera recorded DNxHD/DNxHR is still supported. Vague is also the reference to the incompatibility of video material created with many old cameras and old software. Apple does not provide a definitive list of formats that are no longer supported, but refers to the Camera and Format Compatibility List of Final Cut Pro X. A definitive list of unsupported codecs would be highly desirable to allow users to transcode all affected clips prior to the macOS update. In the current Final Cut Pro X 10.4.4 Apple shows a warning to users who use the mentioned formats and recommends them in the support document to consolidate their projects, backup them externally and then finish them, i.e. 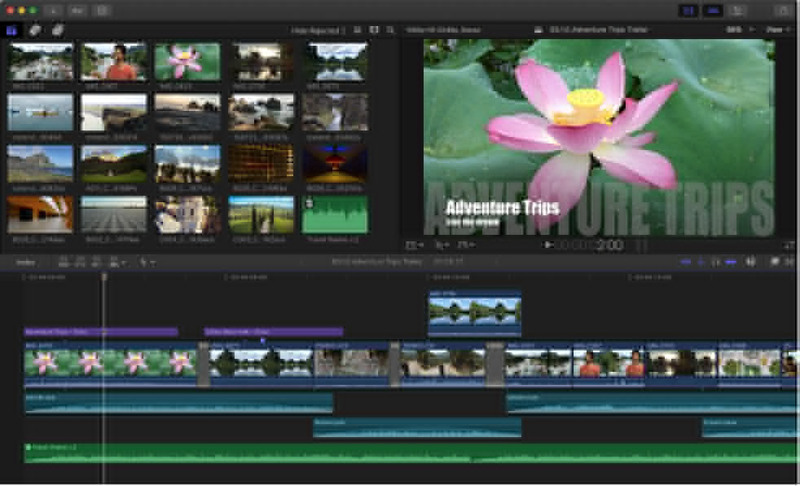 to play the resulting video in a current high-quality codec such as Apple&s ProRes 422. However, this advice may be difficult to follow in ongoing film projects, as it requires completed projects. In such cases it would be more useful to transcode all source material in the affected formats to ProRes (or another current codec) and replace it in the projects before a future macOS update. Another alternative is simply not to update macOS - which is detrimental to some programs that require the latest macOS version. While working on a project, it is advisable not to update the OS and editing program. In the future, users of old cameras with a then no longer supported recording format would have to transcode their recordings before editing to be able to use them in Final Cut Pro X. According to the developer Jon Chapell, Apple&s announcement means the future end of the QuickTime API and thus support for third-party codecs at the operating system level. This is because codecs from other vendors are only integrated at the operating system level via the QuickTime API. Apple&s current AV Foundation codec framework, however, does not support dynamic integration of third-party codecs. The consequence is a problem for all manufacturers of video apps for macOS who will not use codecs supported by the OS in the future, because they will have to integrate their own parsers into their programs (e.g. based on the open source ffmpeg) in order to be able to continue working with these codecs - especially for small manufacturers, this is a big additional effort. For big programs like Adobe Premiere CC and Blackmagics DaVinci Resolve this is no problem, because they have their own codec parser and can transcode all possible formats internally. Final Cut Pro X users, however, are then dependent on external programs to continue using these formats. What is Apple doing with this? Jon Chapell assumes that for Apple security and efficiency are the reasons to stop supporting external codecs. Another somewhat speculative theory expressed on the net is that Apple the end of macOS support for old (32-bit) codecs could be a sign that Apple will merge macOS and iOS in the future - in the spirit of Apple&s tradition of cutting off old customs relatively roughly in order to be able to further develop its hardware/software without any legacy. But you will only know more by further information from Apple.